He kindly paid for the postage as well as writing a message to me on the back of the card, as shown in the picture, but I would like to keep that message private. 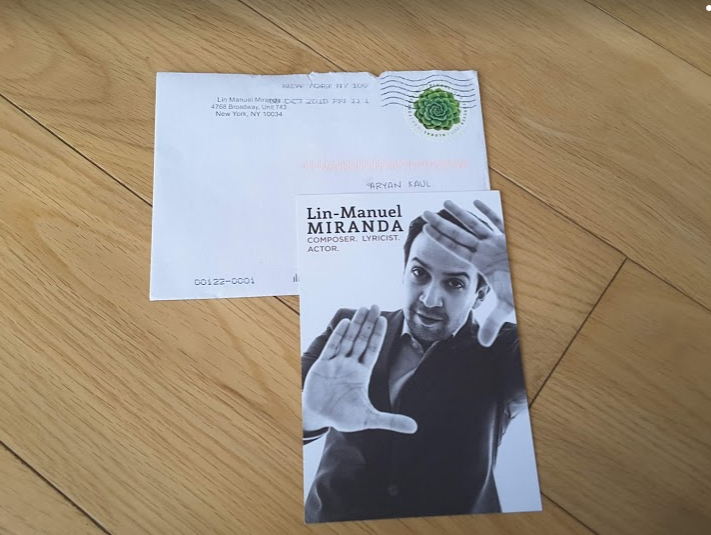 Good luck in contacting the amazing Hamilton composer! Last edited by TPA on Sun Jan 20, 2019 5:40 am, edited 1 time in total. He said it was signed on the back with a private message he wished not to share since it was private.